Supplanting Satan by putting him to shame. 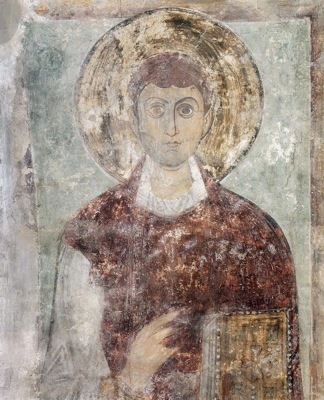 Saint Domninos was from the great city of Thessaloniki. 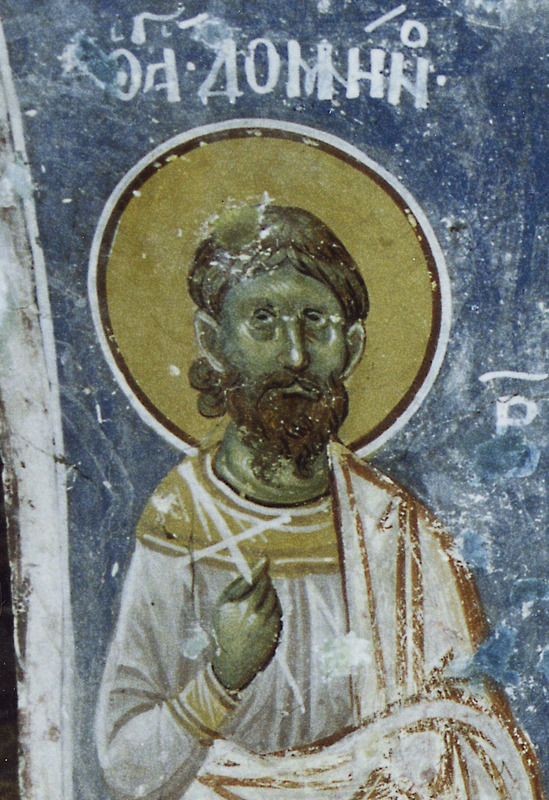 When Galerius Valerius Maximianus (293-311) was building imperial palaces in this city, this Saint was apprehended as a Christian and a preacher of piety, and he stood before the imperial bema. Standing there, Maximianus said to him: "Why do you dare confess another God, at a time when the emperor honors and confesses the ancient gods of his fathers? If you want to live, sacrifice to the gods." 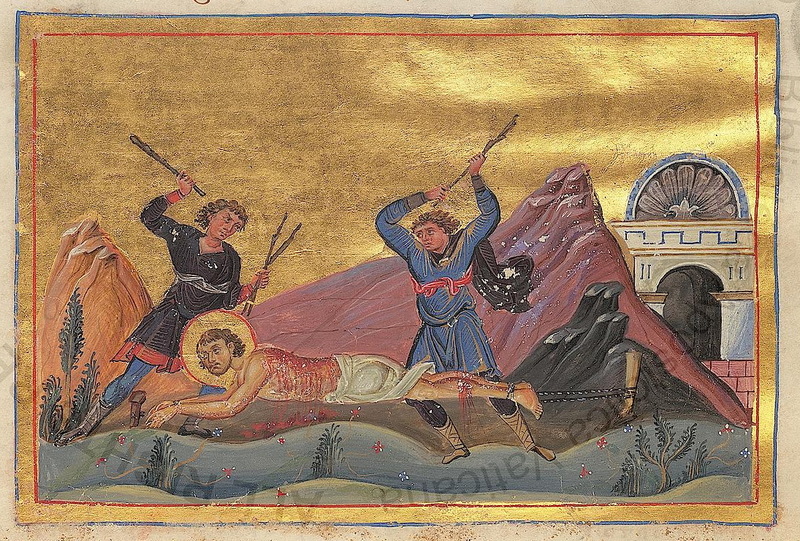 Because the Saint could not be persuaded, the tyrant ordered that the body of the Martyr be thoroughly lacerated. Having suffered this torture, the Martyr derided the tyrant. For this reason the impious one ordered the Saint to be taken outside the city, where they were to crush his legs. Having cut off his legs, he remained alive for seven more entire days, without eating entirely. Thus after thanking the Lord, the blessed one delivered his soul to Him. * According to various martyrologies, St. Domninos was martyred with twelve others; these are commemorated separately on March 30th. 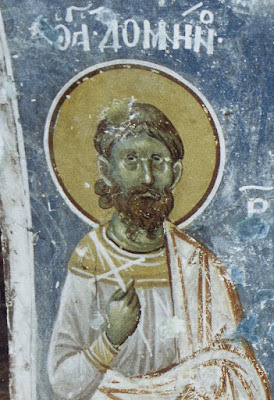 In the Synaxarion of Constantinople, it says his Synaxis was celebrated in the Church of the Archangel Michael "at the Lithostraton."